David and Nancy Guthrie have faced the bitter task of burying two of their three children. Out of this loss has blossomed a growing national and international ministry to grieving people through writing and speaking, and as hosts of GriefShare, a video series used in thousands of grief groups held weekly in churches across the country. David and Nancy make their home in Nashville, Tennessee, along with their seventeen-year-old son, Matt. 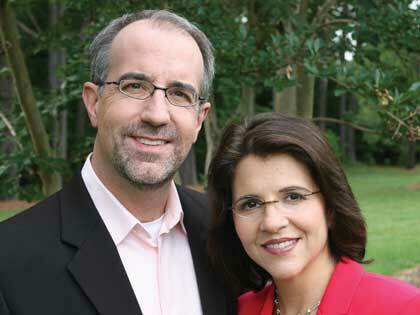 David is an executive in church music publishing, and Nancy teaches a weekly Bible class along with operating a media relations business serving the Christian publishing industry.